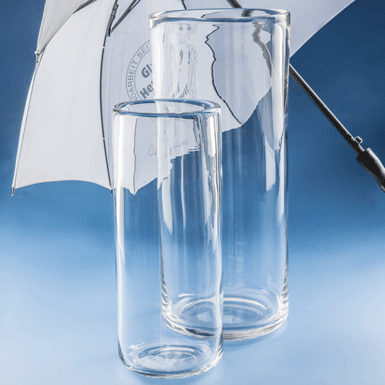 The umbrella stand with inflated rim displays craftsmanship and durability. It is an alternative to the cut umbrella stand. A question of taste! Mouth-blown into the mould. Rim inflated by hand. Heavy pieces - these demand high levels of glass-making skill!